Half of over-65s suffer from dizziness and problems with balance. But some tests to identify the causes of such problems are painful and can risk hearing damage. 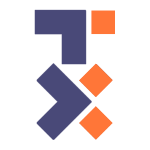 Now, researchers from Chalmers University of Technology, Sweden, have developed a new testing device using bone conduction technology that offers significant advantages over the current tests. Hearing and balance have something in common. For patients with dizziness, this relationship is used to diagnose issues with balance. Commonly, a vestibular evoked myogenic potentials (VEMP) test needs to be performed. A VEMP test uses loud sounds to evoke a muscle reflex contraction in the neck and eye muscles, triggered by the vestibular system—the system responsible for our balance. The Chalmers researchers have now used bone-conducted sounds to achieve better results. 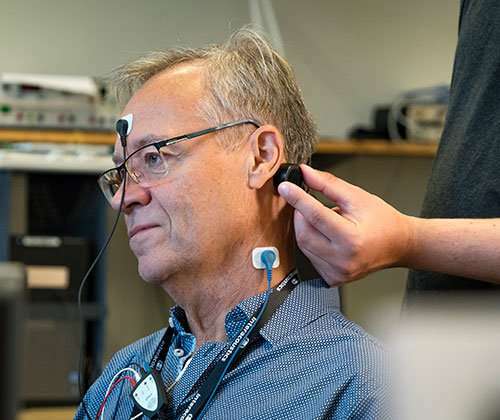 "We have developed a new type of vibrating device that is placed behind the ear of the patient during the test," says Bo Håkansson, a professor at Chalmers. The vibrating device is small and compact in size, and optimised to provide an adequate sound level for triggering the reflex at frequencies as low as 250 Hz. Previously, no vibrating device has been available that was directly adapted for this type of test of the balance system. In bone conduction transmission, sound waves are transformed into vibrations through the skull, stimulating the cochlea within the ear, in the same way as when sound waves normally go through the ear canal, the eardrum and the middle ear. Bo Håkansson has over 40 years of experience in this field, and has previously developed hearing aids using this technology. Half of over-65s suffer from dizziness, but the causes can be difficult to diagnose for several reasons. In 50 percent of those cases, dizziness is due to problems in the vestibular system. But today's VEMP methods have major shortcomings, and can cause hearing loss and discomfort for patients. For example, the VEMP test uses very high sound levels, and may in fact cause permanent hearing damage itself. And, if the patient already suffers from certain types of hearing loss, it may be impossible to draw any conclusions from the test. The Chalmers researchers' new method offers significant advantages. "Thanks to this bone conduction technology, the sound levels which patients are exposed to can be minimised. The previous test was like a machine gun going off next to the ear—with this method it will be much more comfortable. The new vibrating device provides a maximum sound level of 75 decibels. The test can be performed at 40 decibels lower than today's method using air-conducted sounds through headphones. This eliminates any risk that the test itself could cause hearing damage," says postdoctoral researcher Karl-Johan Fredén Jansson, who made all the measurements in the project. The test is safer for children, and patients with impaired hearing function due to chronic ear infections or congenital malformations in the ear canal and middle ear can be diagnosed for the origin of their dizziness. The vibrating device is compatible with standardised equipment for balance diagnostics in healthcare, making it easy to incorporate. The cost of the new technology is also estimated to be lower than the corresponding equipment used today. A pilot study has been conducted and recently published. The next step is to conduct a larger patient study, under a recently received ethical approval, in collaboration with Sahlgrenska University Hospital in Gothenburg, where 30 participants with normal hearing will also be included.